So, hey. I wrote a book! 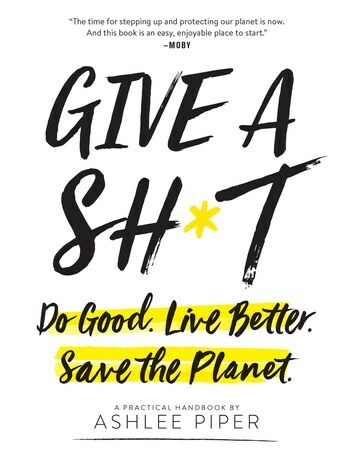 Give a Sh*t is a practical handbook - full of well-researched guidance, swearing, recipes, and anecdotes that won't totally put you to sleep - that imparts easy tips on living more sustainably at home, in your closet (and grooming regimen), via how you eat, and out in the world. Even some celebs (cough: MOBY) dig it - scroll down to see what they're saying (and I didn't even pay them).